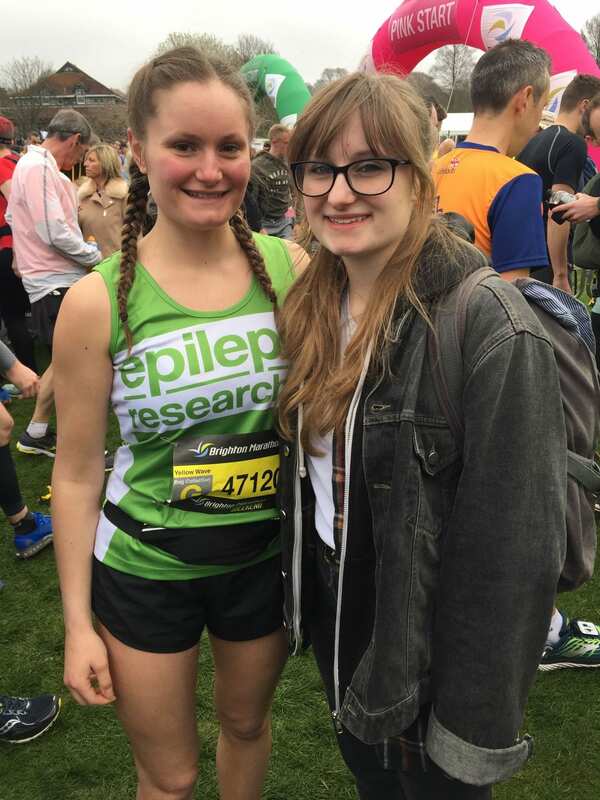 Annabel Dando tells us why she took on the Brighton Marathon in April 2018 for Epilepsy Research UK. “My name is Annabel Dando, I am 20 years old and one day I began to think about how my twin, Alex Dando has lived with epilepsy for about 7 years now. However, it has been a difficult journey for her, as we are still on the search for the root cause and await a complete diagnosis in order to hopefully find ways to improve her life. I was so determined to do something amazing for her and other people with epilepsy, so I decided to challenge myself and apply to do the Brighton marathon. I trained almost every day for about 3 months and ran 6 miles each day, whilst I was doing this training I was in the middle of my second year of university. Meaning I was simultaneously juggling university assignments and my running routine. This was more mentally and physically challenging than I ever imagined, but I was not going to be defeated. On the day of the run, I was very nervous as I had set myself an aim of 4 & 1/2 hours, but with the support of my family and friends, I crossed the finish line after 4 hours 18 minutes and 18 seconds! I was incredibly proud and the support I had received over the months of preparation and on the day was overwhelming. The donations kept coming and in total I raised just over £1,500. I believe epilepsy is not spoken about enough and a lot of people do not realise the struggles those with epilepsy can go through. So it was important to me to set myself a challenge, I will never forget my experience of running the marathon and I look forward to setting myself a new challenge in the near future! Whenever I felt I was setting myself a goal which was maybe unachievable, I reminded myself that Alex and many others have epilepsy for life, if it took me all day I would spend the whole day running in order to get to the finish line. I love you Alex!